Hi everybody it's Toni here to share my contribution to The Get Altered Challenge, hosted this month by the lovely and very talented Sue Lelli. She has chosen 'Hearts' as the theme. A great subject and certainly one that I'll never tire of ! You can see Sue's lovely hanging, by following the link here. After much pondering, I decided to make a tag, something else I never tire of ! I used a Dylusions Diamond stencil with Brushed pewter and Festive Berries Distress Paint, for the background and followed a technique that Paula Cheney demoed on her blog, She created a two colour background for a gorgeous Christmas card which you can see by following this link. Paula has an amazing talent ! Here is the background to my tag..
After stenciling the tag with the Distress Paints, I blended in some vintage Photo Distress ink and a little Black Soot to the roughened edges. 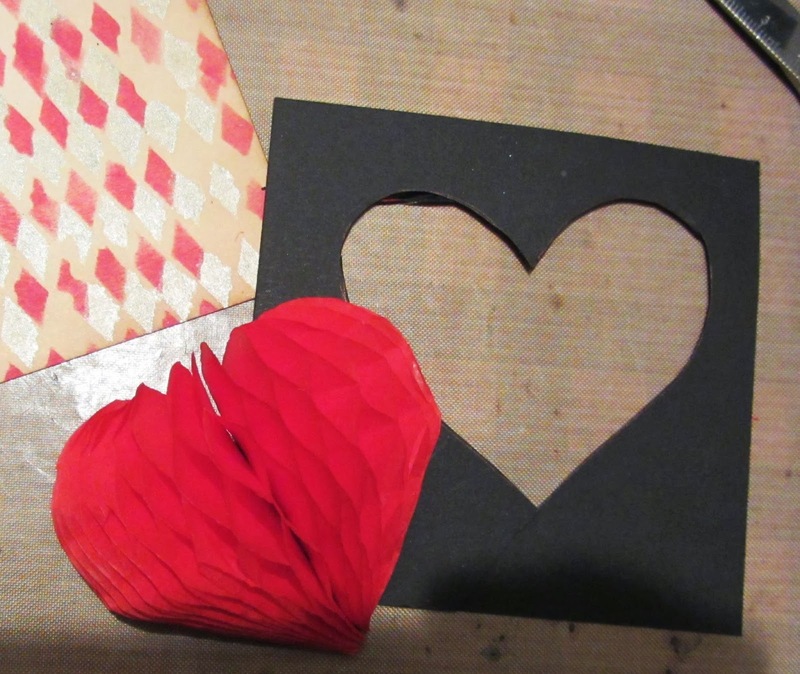 I then cut two hearts, one in card and one in red honey comb paper, remember that stuff ? I adhered the honey comb heart to the card for added stability. 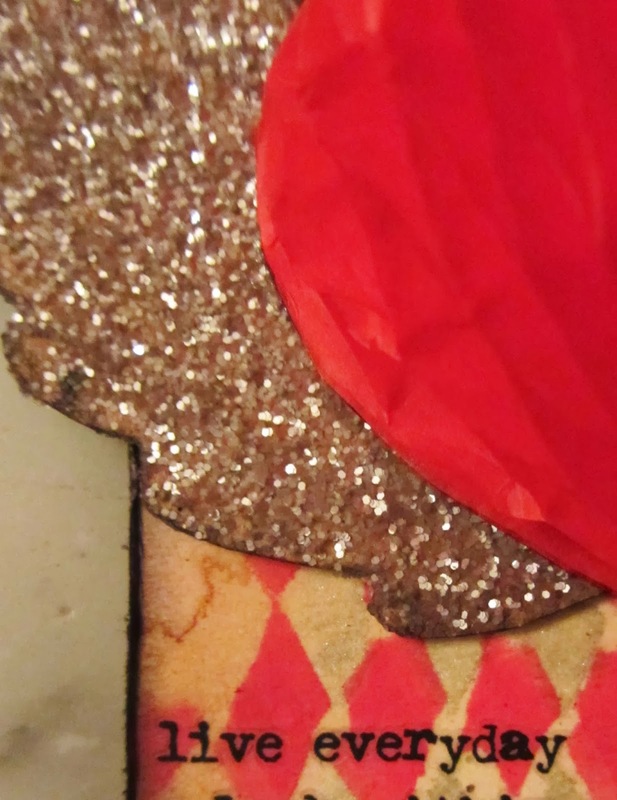 I freehand cut a pair of wings and covered them with Pumice Distress Glitter. I love the antique look of this product, it takes glitter to a whole different level. Before attaching the wings and heart, I stamped the Crafty Individuals flourishes in black Archival Ink and added a few words of those very handy Remnant Rub Ons. Toni - gorgeous! I love the honeycomb heart!! So much fun!! This is gorgeous, Toni! LOVE the honeycomb heart!! Oh my giddy aunt Toni, just visited your blog and wow I am in love with how you created this...every element makes me swooon!! Toni, I am swooning over your tag with the puffy heart! Love the BG and the wings and the sentiments! FAB creation! 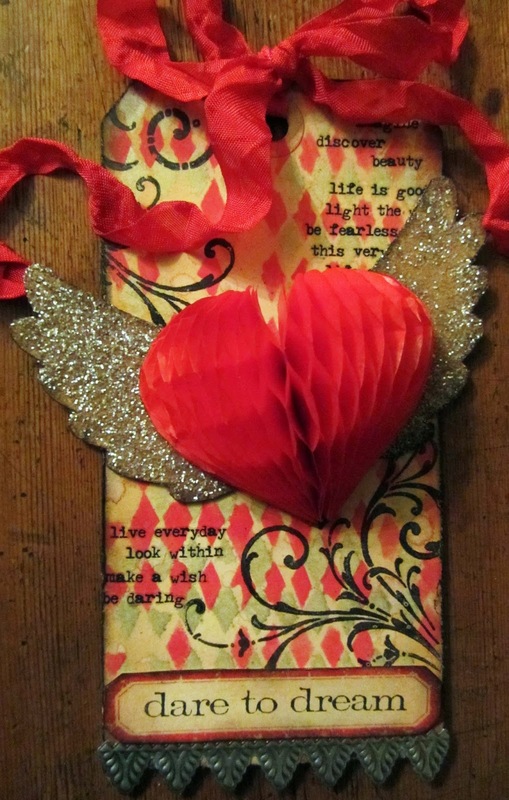 Oh I love that puffy heart, paired with the wings. What an awesome tag. To i your tag is fabolous. Love the distressed look together with the bright red. Your background is so lovely as well. Thank you for sharing. You are very talented. This is such a fun background. 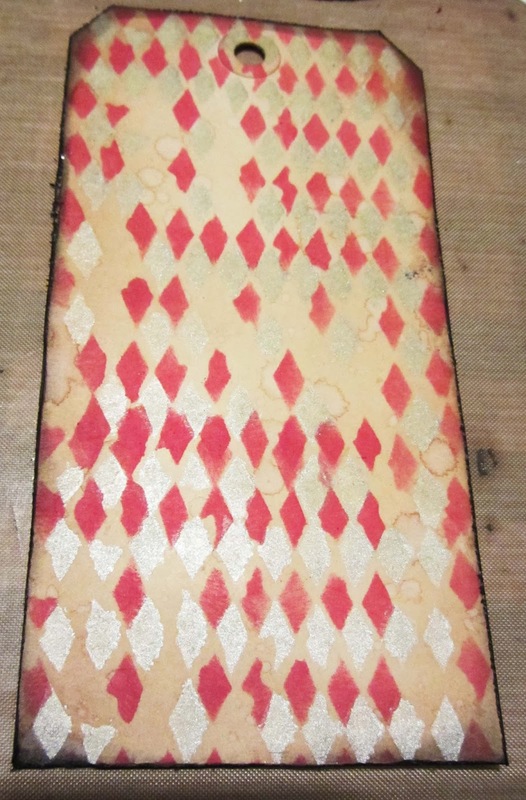 I love the offset stencilling with the two colours. The honeycomb heart is so striking, textural, and dimensional. Love every single detail!